As a busy mom, I'm always looking for ways to make my life easier. Beauty tips and tricks are a must for me. Especially when it comes to painting my nails. Even I don't always have the time to keep them perfectly polished. After having huge success with my first try of at home gel nail polish, I decide to test other brands to see which one I like best. 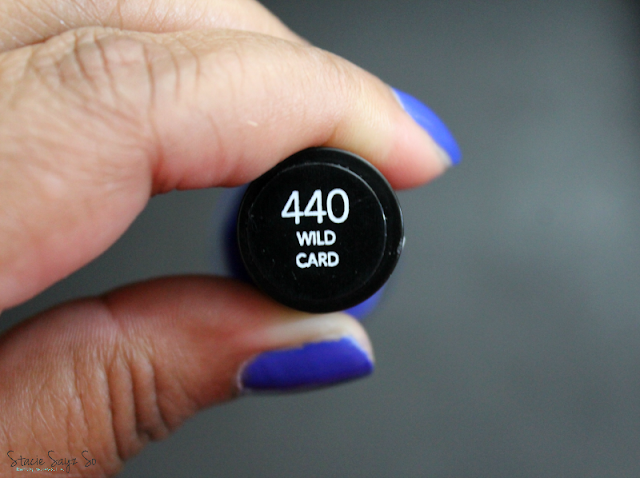 Today I'm featuring Revlon Colorstay Gel Envy Longwear Nail Enamel in a nice royal blue cream called Wild Card. Revlon Colorstay Gel Envy didn't streak, but the applicator brush is smaller than what I am used to making it not as easy for me to apply. Here's what my nails looked like after four days. My nails were duller than at first and chipped quite a bit. I can't say that I did anything more than I normally do, just cooking and cleaning as usual. But for the $5 price, that may be expected. 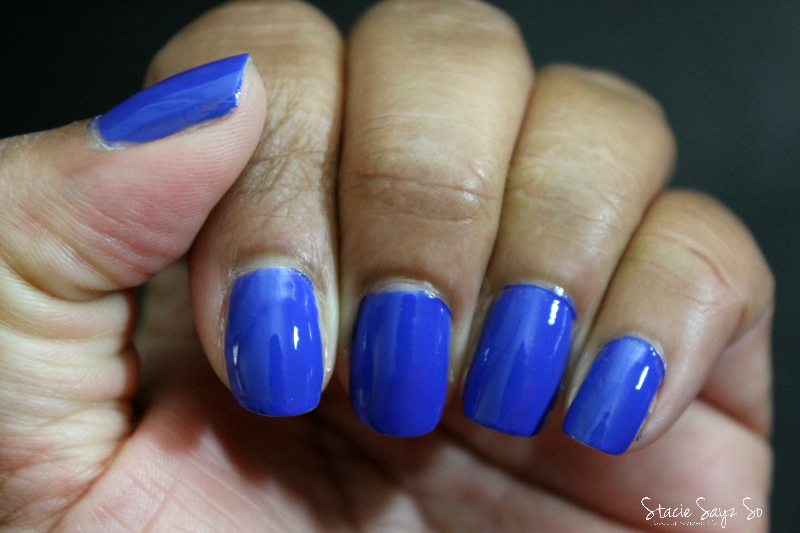 I love this color blue and it's decent for the price. I probably won't buy any more though unless there's is a nail color I just have to buy. Stacie Sayz, "I don't know girl, it's up to you!" 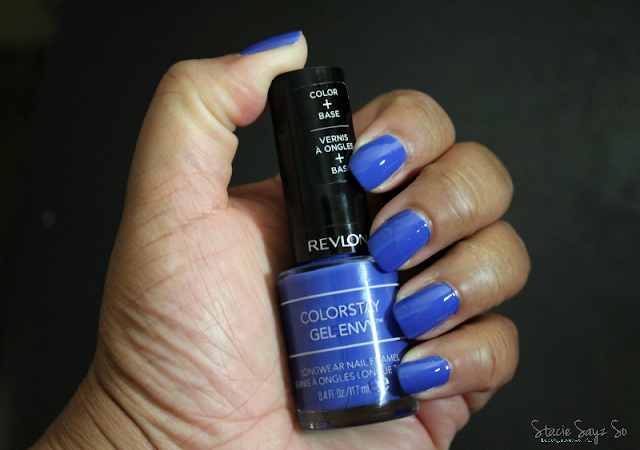 Have you tried Revlon Colorstay Gel Envy yet? 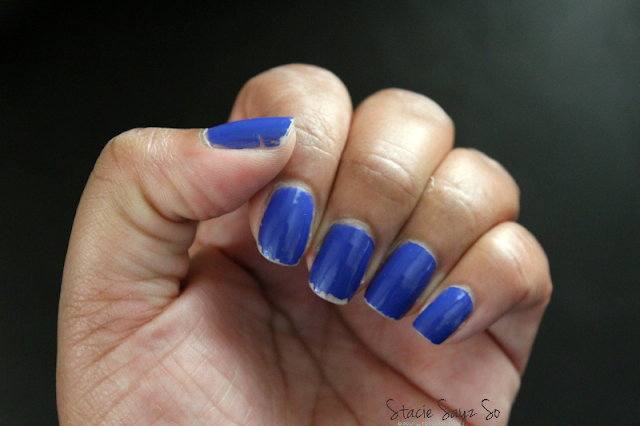 What are your thoughts about at home gel nail polish? Nice color! Bummer about it only lasting 4 days. I just painted Sammie's nails for her with a black OPI You know it's a bit pricier but does last. That color is gorgeous!!! The chipping wasn't too bad for $5, but yeah, I feel you! 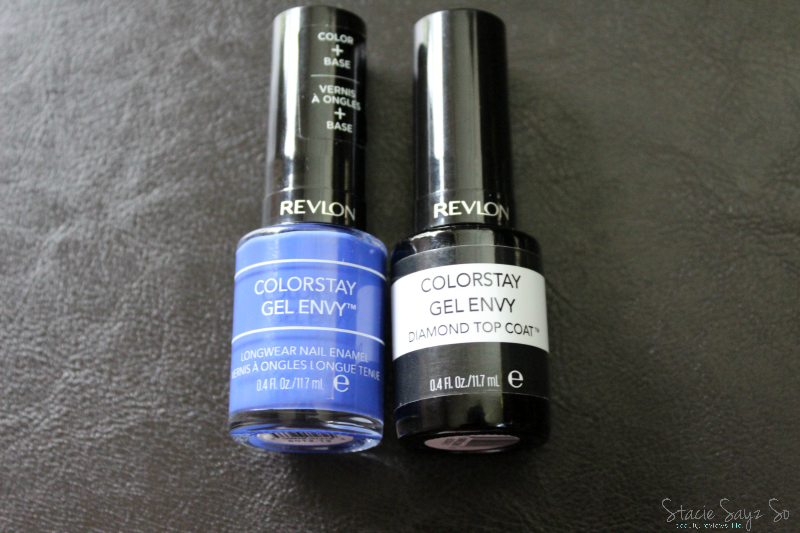 I haven't tried Revlon ColorStay Gel Envy, but I do really like the electric blue color. I have a gel at-home system that I like, but I don't use it often because I don't like the color. If I had more polish to use (I ordered for a great price online and haven't looked to see if there are polishes still out there) I would. There are some Sallie Hansen gel colors I'd like to try.